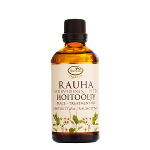 This ayurvedic skin care and massage oil is relaxing and detoxifying. Pitta Ayurvedic Body & Massage Oil calms, cools and reduces frustration. It also harmonises digestion and liver functions. "Peace" Treatment Oil to balance and relax especially the Ayurveda Pitta-type. Both for professional and personal use. Apply and gently massage into the area to be treated, when needed. 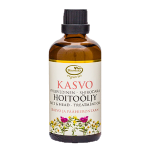 An ideal body oil to be applied daily e.g. after bath or shower. Use also in Ayurvedic massage and in other treatments to relax, reduce frustration and to release stomach tension. 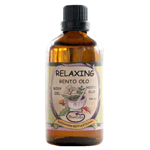 Add desired quantity of oil into a small bowl and warm up in a water bath before the massage. For additional aroma therapeutic effect, add 1-2 drops of Pitta Essential Oil Mixture to 1 tablespoonful of massage oil. Raw materials and manufacturing meet European natural cosmetics standards. No animal testing, animal or genetically modified substances, mineral oil, silicates, artificial colors / scents, or parabens. This skin nurturing and scentless base oil is developed especially for aromatherapy. Ideal for facial and body massage and addition of essential oils. 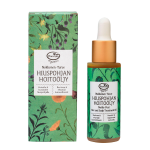 Skin renewing and protecting organic facial and body oil for the whole family. This cold pressed grape seed oil is light, transparent and easily absorbed. Also ideal for aromatherapy. 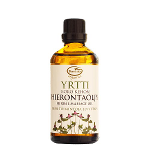 Organic skin care and massage oil with Frantsila "11 miracle herbs". Skin nourishing foot care and massage oil. Brings releif to tired feet. 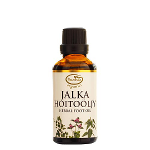 This ayurvedic care and massage oil energizes and invigorates. Drains toxins and eliminates cellulite. 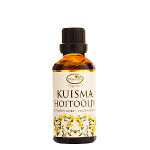 Ayurvedic care and massage oil for the treatment of tense and painful areas. Organic treatment oil that relieves muscle tension, alleviates joint pain and soothes sunburned skin. 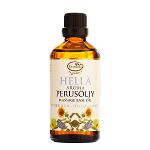 This organic and cold pressed Sunflower seed oil is light, transparent and easily absorbed.